Since the 60s Havaianas flip flops have been a popular summer staple, mixing comfort with bold colours and a classic design. With our Havaianas sale, you can get these iconic shoes for a price you can't argue with, so check out our selection to see which ones work for you. Most people know how uncomfortable cheap flip flops are, and how a good pair of shoes can make all the difference to your posture and comfort as well as feet. Havaianas shoes are made from the highest quality rubber and have a close fit that ensures the wearer's comfort and stability. 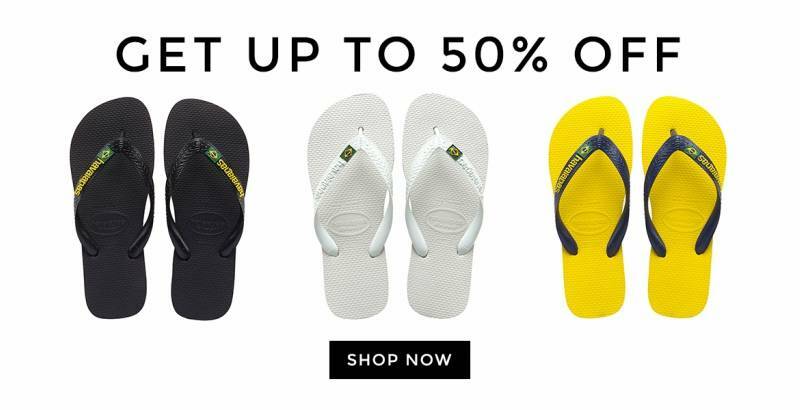 Check out our Havaianas discount codes to get up to 50% off these summer basics. With our Havaianas flip flop sale you're set for the summer, or just a trip to somewhere hot, and there's no reason to suffer uncomfortable, stifling shoes. If you're looking for even more discounts on our summer stock then why not sign up to our newsletter? You'll receive news of the latest sales, as well as editorial stories, the occasional coupon codes, plus 10% off of your first order from The Idle Man. On top of that, if you spend more than £5o on our website we'll give you free shipping. All the more reason to get your hands on some Havaianas men shoes. Thanks to our Refer a Friend scheme you can treat your friends to a nice little discount with just a few clicks. Simply share your, for example, Havaianas discount code on social media or invite your friends via email and they'll be sent £5 worth of credit. You'll then get £5 when they spend £30 or more in their first shop. If you're struggling with student loans and essays then you might be eligible for our Student Discount. 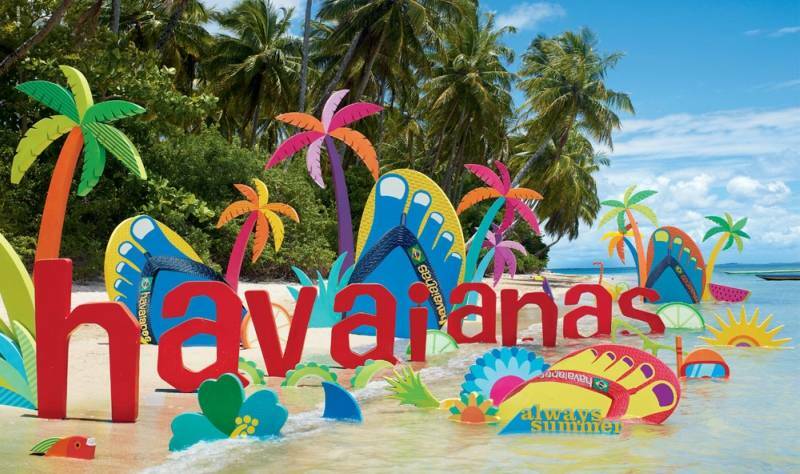 With a valid NUS or student card, you can get 10% offHavaianas as well as tonnes of other brands. If that's not enough then come back when our special double discount days are on, and you can get 20% off. Havaianas began with the somewhat unconventional blend of Japanese and Brazilian cultures. Unsatisfied with the quality of summer shoes on the market, the Havaianas brand took the design of the Japanese zori shoe and added a few of their tweaks. This turned out to be a pretty good idea and Brazilian workmen in particular loved the comfortable and affordable flip flops. A few re-designs later and Havaianas flip flops are now a staple part of summer, keeping their wearers happy and comfortable, without them having to dish out half their pay. On top of that, with our Havaianas voucher codes, we'll make sure you can get them at aThe latest news from style, life, arts, and culture and everything in between. Whether it's a new brand arriving into our style, our latest drops and editorials. You will never miss a beat with us.